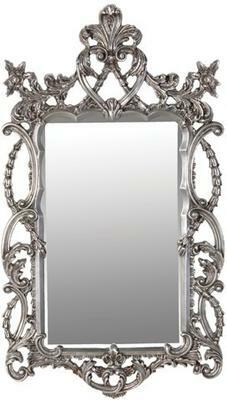 This Silver Intricate Frame Mirror is quite beautiful. Made for those who love anything intricate and elegant, this one is handmade using a combination of resin and wood. The wood essentially serves as the main base for the frame while the detailed carvings and other intricate pieces are done from resin. The entire piece is finished in a striking silver shade allowing it to command attention over everything else. 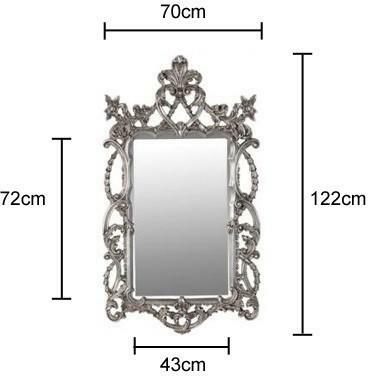 Use this to add a unique touch to your living room, bedroom or even in your hallway. It would look fantastic against a coloured or plain wall.